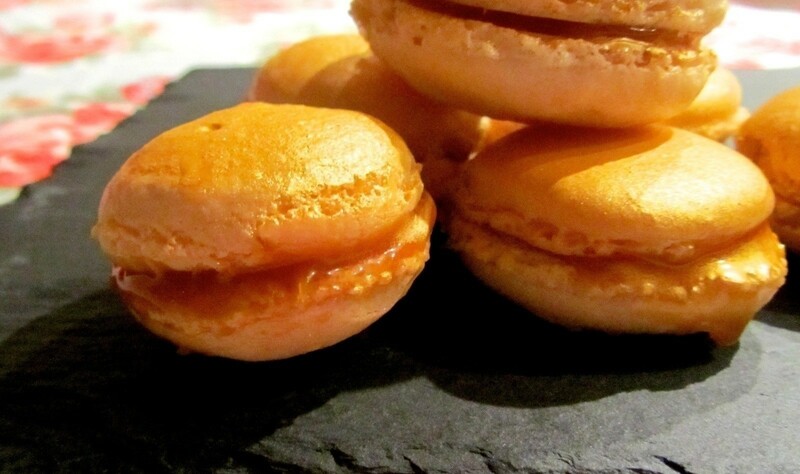 The foolproof recipe for the perfect macarons! It took me three attempts to bake the perfect macarons. There was too much egg while in the first batch, making the mixture runny. 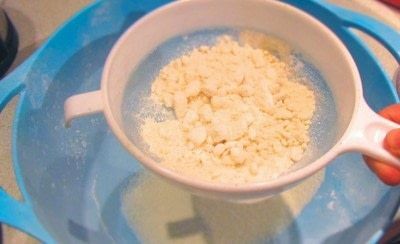 The second batch were ruined by adding food colouring too slowly and taking the air out of the mixture. 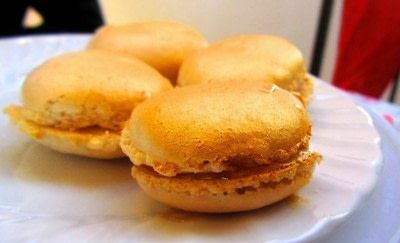 But, it was third time lucky and I think I've learned enough from my mistakes to teach you the perfect, foolproof way to make macarons. Start by preparing your baking sheet. Draw around the base of a tea light candle on to some wax paper, to create a guide for your macarons. 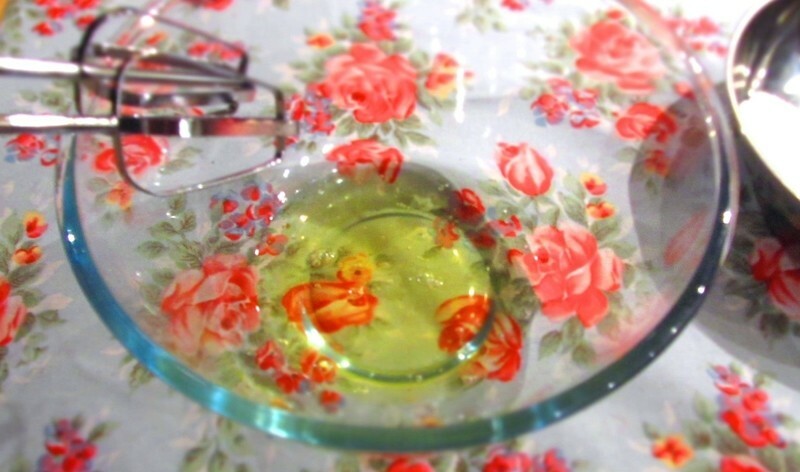 When you've drawn them all, flip the wax paper over and stick down to your baking tray using a little dab of water. Grind down the icing sugar and almond meal in a blender for a few minutes until smooth. Sieve this mixture in to a large bowl to make sure it's really fine. Crack the egg whites in to a medium bowl. Note: the eggs need to be a room temperature, so take them out of the fridge a few hours before you plan to bake. 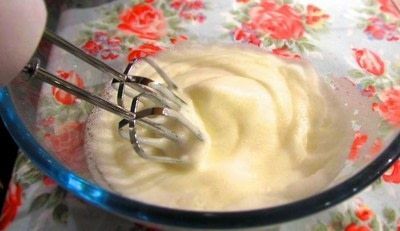 Whisk the eggs on a high speed until they turn in to a soft cloud. Keep going until they form thick peaks and then add the sugar, a little at a time while whisking on a low speed. 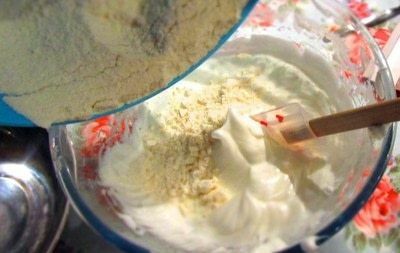 Once all the sugar has been added, whisk in the almond extract and food colouring (if you dare adding it) on high power for a few seconds. Be careful not to over beat it at this stage, you want to keep it at the consistency where it forms thick peaks. 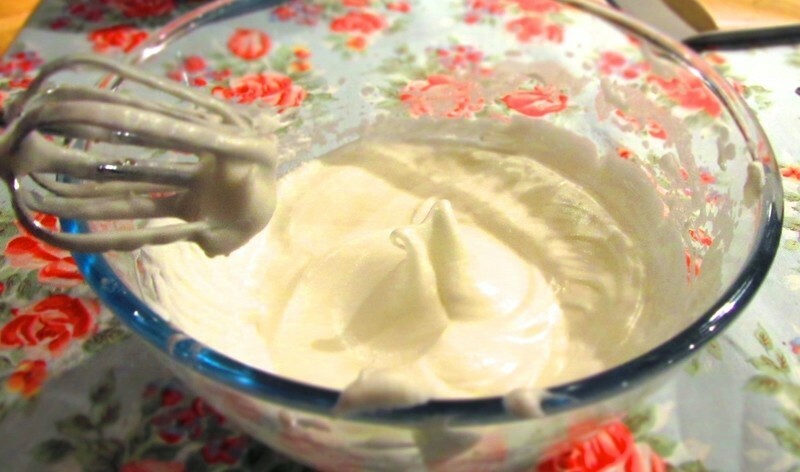 Gently fold in the almond mixture in thirds. Be really careful not to fold too hard or for too long or you'll take the air out of your mixture. Transfer your batter in to a piping bag and have your baking tray at the ready. 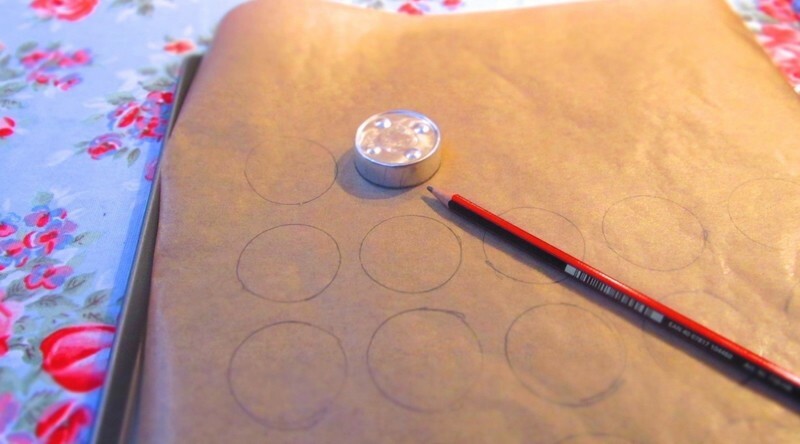 Carefully pipe out a little mixture in to each of your pre-drawn circles. Smooth down any lumpy bits on top with your finger. Now, carefully but firmly bang the baking tray off the counter several times to remove any air bubbles from the mixture. Preheat the oven to 150c and leave the macarons to air dry for roughly 30 minutes until a thin crust forms on top. Bake the macarons in the oven for 10 - 15 minutes, keeping a careful eye on them to make sure they don't burn. Remove and leave to cool. 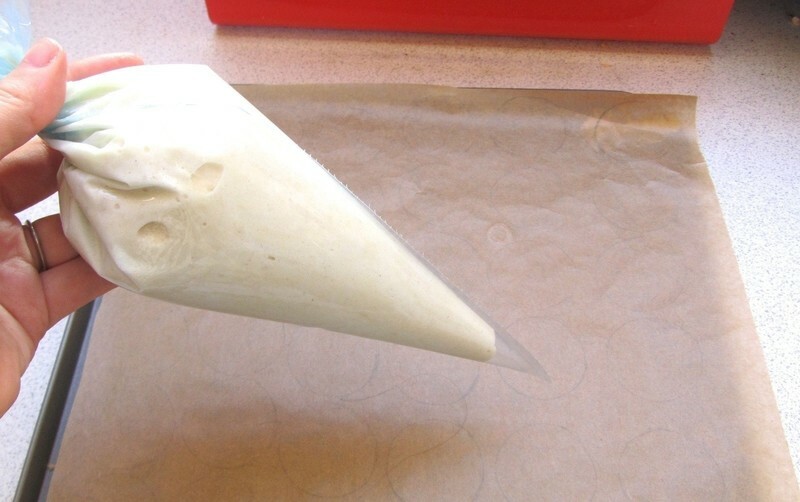 When cool, carefully lift the shells from the wax paper. They should be smooth on the bottom. Now the scary bit is over, you can have fun by pairing up the half shells and filling them with your favourite filling. We filled ours with caramel sauce (which we got free from the barista at Starbucks) with a small sprinkle of course sea salt. 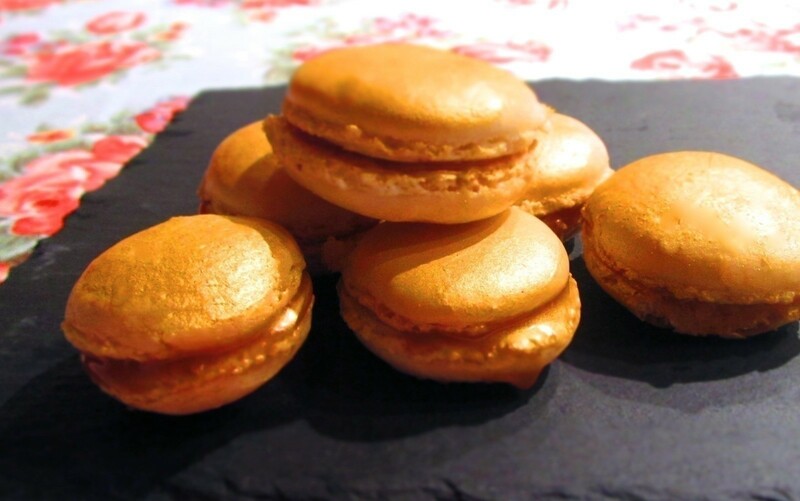 We then sprayed the tops with edible gold spray paint. Sorry about that, they must have got lost from the ingredients. 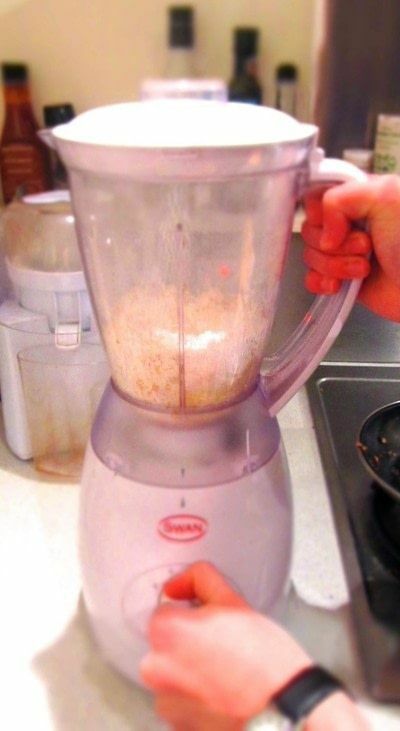 You need 75g of almond meal which is also known as ground almonds. 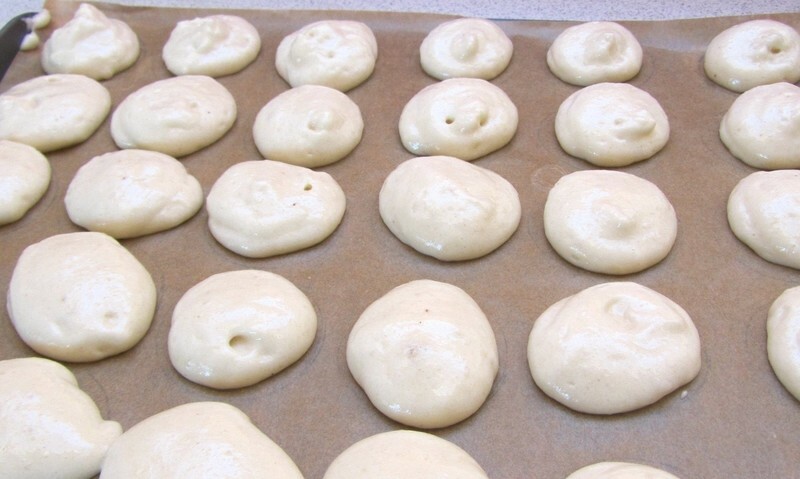 I have a question--why do you "bang the baking tray off the counter several times to remove any air bubbles" (step 9) when in step 7 you are advised to " Be really careful not to fold too hard or for too long or you'll take the air out of your mixture." I know it's sounds quite contradictory but you want to keep lots of nice small air bubbles in the mixture to help the macaroons puff up when baking. Banging the tray removes any larger air bubbles which will make your shells crack. Any tips before I'll try it? The trickiest thing is getting the eggs just right. Make sure you don't over-whisk because you want to keep as much air in it as possible. Also, make sure your eggs are at room temperature before you start! Let me know how you get on - it took me a few attempts before I got the hang of them!